Career TEAM, LLC (CTL) and Ashworth College today announced a landmark partnership to enhance the focus on employability across the Ashworth student experience. The agreement involves four core student success and placement related initiatives: Developing a workforce readiness integrated curriculum, an alumni and employer portal, data collection, and finally, access to CTL’s Career EDGE certified coaches. The Career EDGE retention promoting soft skills curriculum will be introduced in Ashworth’s orientation course, and reinforced throughout the student life-cycle. Students will complete their programs with tangible tools developed in the Career EDGE Toolkit to support their career search process including a personalized ePortfolio and professional resume. 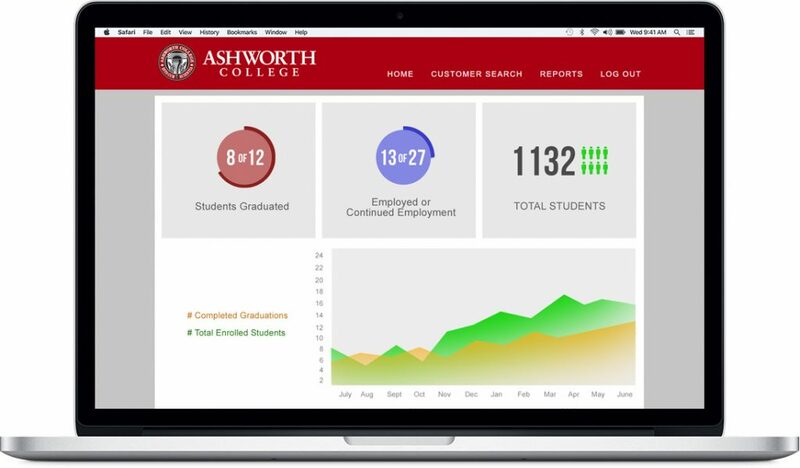 Upon graduation, resumes and ePortfolios go live on Ashworth’s Employer platform where qualified graduates are searchable by keyword and geography. To further enhance employment outcomes, CTL will provide coaching for mock interviews, resume development, and building Ashworth’s employer network in the markets they serve. “This partnership will leverage Career TEAM’s twenty years of workforce development experience to develop an innovative and efficient career services model for Ashworth College,” said Micaela Alpers, President of Career TEAM’s Education Division. Career TEAM exists to accelerate the human condition. Since 1996 we have placed & trained over 100,000 job seekers and staff. We provide innovative solutions to complex social challenges such as closing the opportunity divide, reducing unemployment, and eradicating poverty. CTL’s service initiatives include running programs for TANF, American Job Centers, Platform to Employment, and other programs designed to support hard to serve individuals. In 2012, CTL scaled into higher education with an innovative career development platform entitled, The Career EDGE. EDGE provides content and tools that enhance the student experience from admission to job placement resulting in increased retention, graduation, and placement rates. Our solutions provide faculty and career services staff with scalable tools that improve professional development and employer partnerships. Ashworth College is a nationally accredited institution that provides effective, affordable and flexible online career-focused education opportunities. Currently, Ashworth offers more than 125 programs spanning online career certificate, associate degree, bachelor’s degree and master’s degree programs. Offerings are in high-demand fields including healthcare, business, creative services, education and trades. As one of the most responsible models of education, Ashworth College delivers high student ROI: the College has >90 percent student satisfaction rate, and >90 percent of students report achieving their goals upon completing their studies. Additionally, over its nearly 30-year history, Ashworth has graduated more than 300,000 students. The College is committed to providing students with a practical education so they can achieve their education and career goals on their terms.